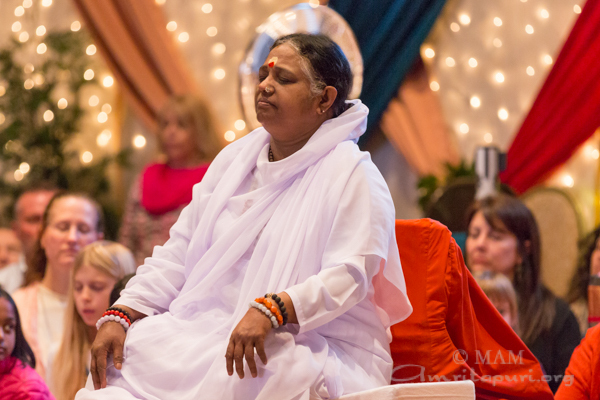 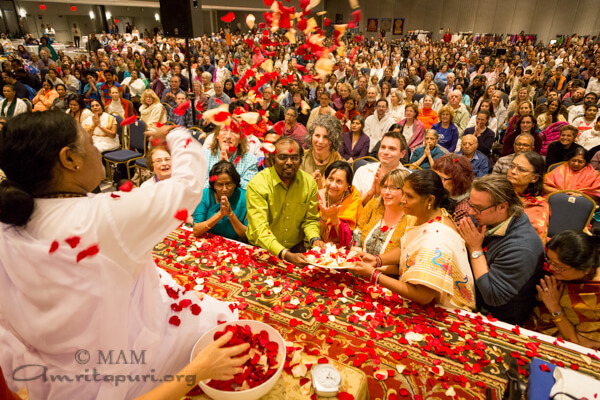 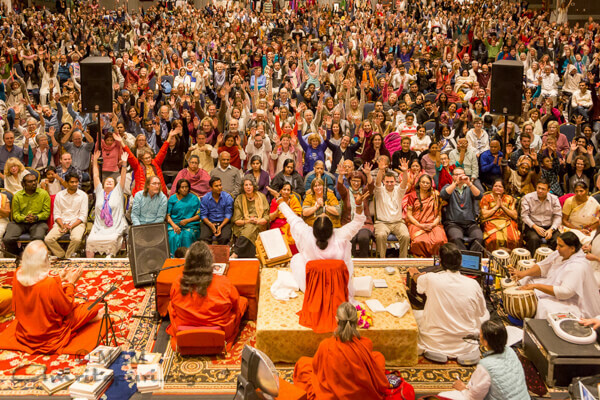 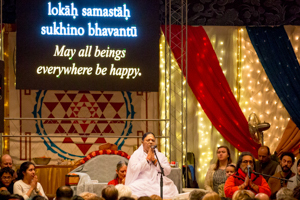 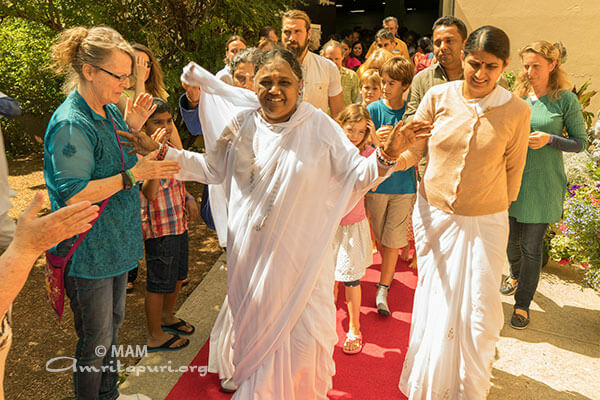 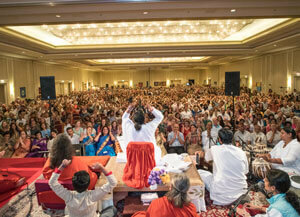 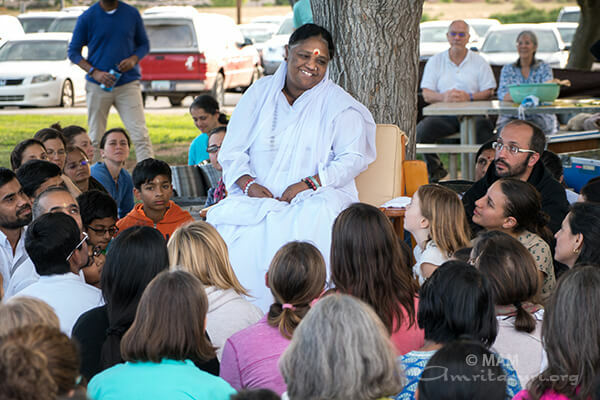 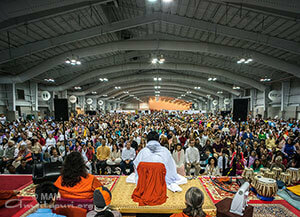 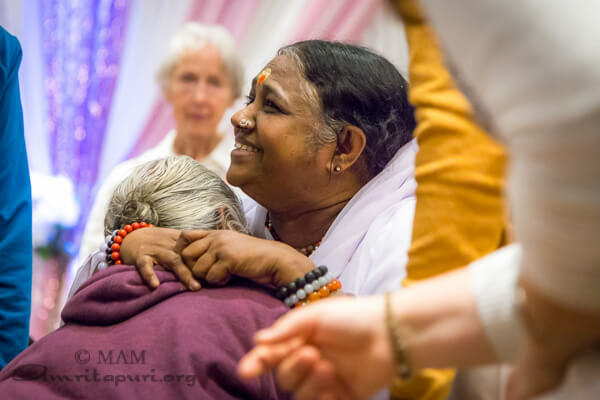 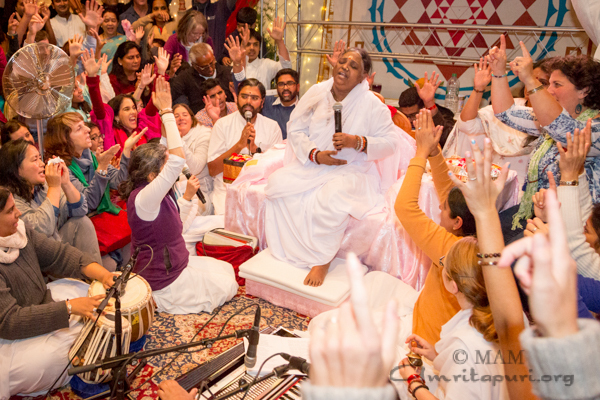 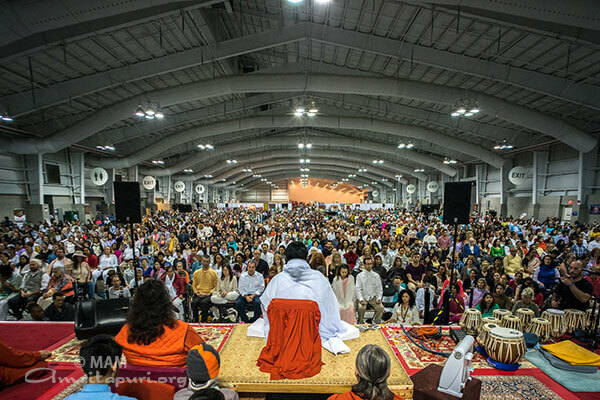 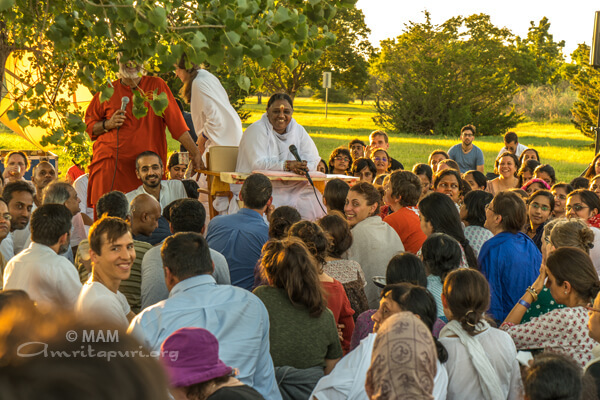 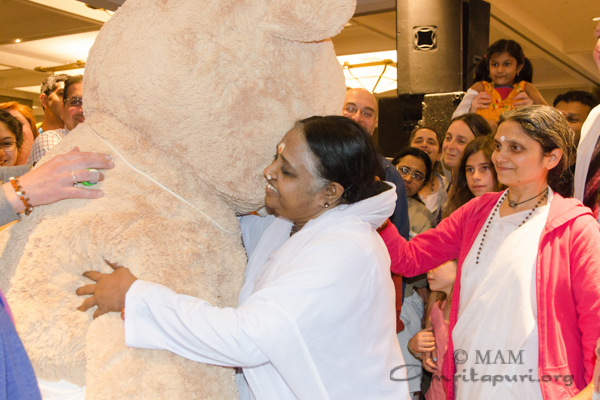 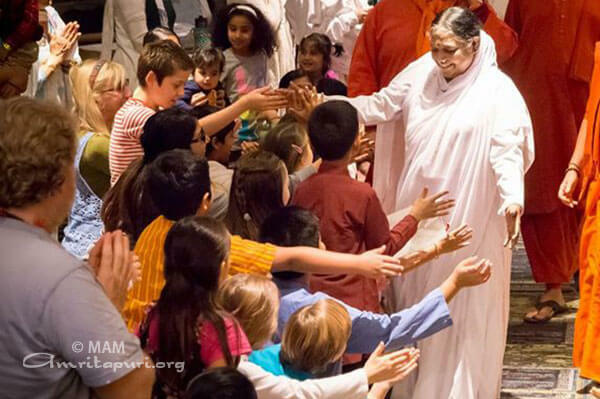 Amma has been touring length and breadth of America for the past 6 weeks. 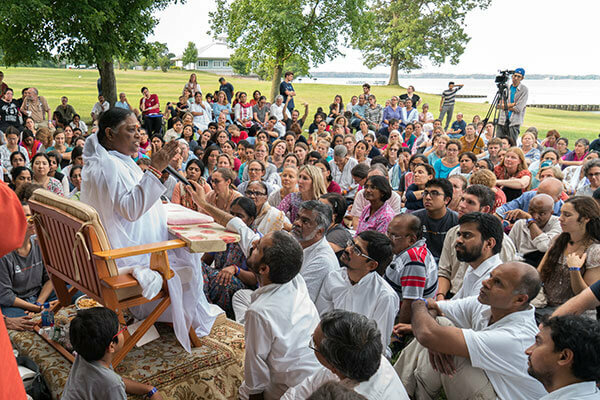 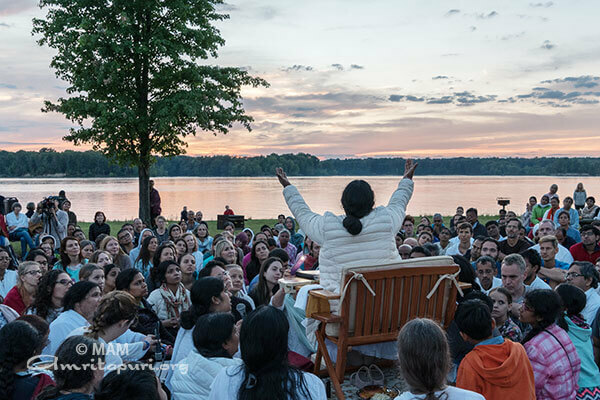 After finishing her programs in North America, Amma and the tour group reached Toronto in Canada, the capital of Ontario state. 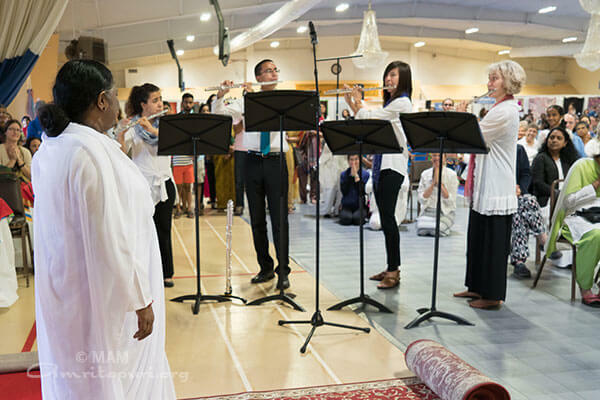 Sri Dinesh Bhatia, Consul General of India garlanded Amma and welcomed Amma to Canada. 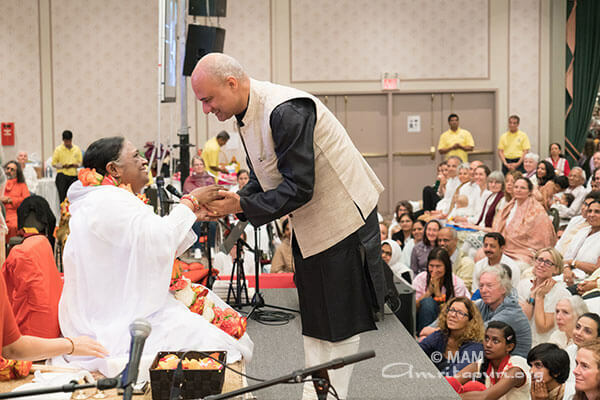 Mrs Indira Harris, Minister of Finance and Member of Parliament, garlanded Amma on behalf of the Ontario government. 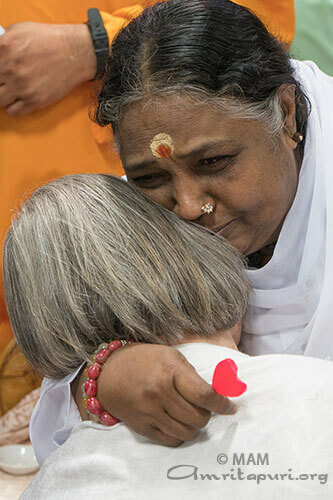 23rd Prime Minister of Canada Hon. 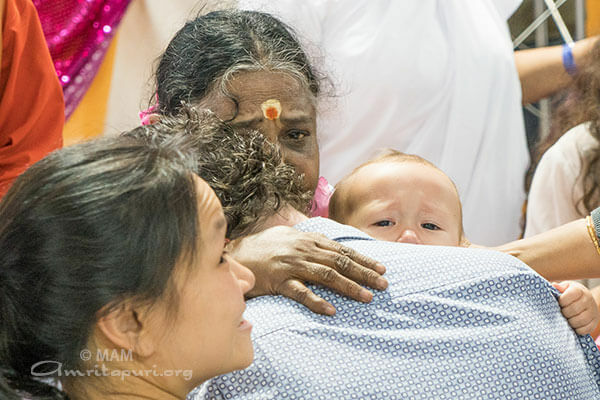 Justin Pierre and His wife Madam Sophie sent a special welcome letter to Amma. 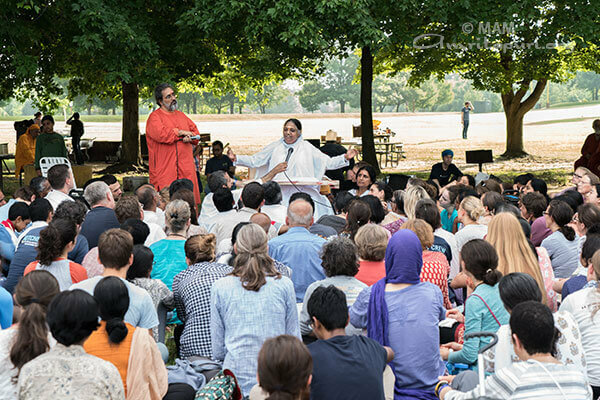 It was read out by their representative. 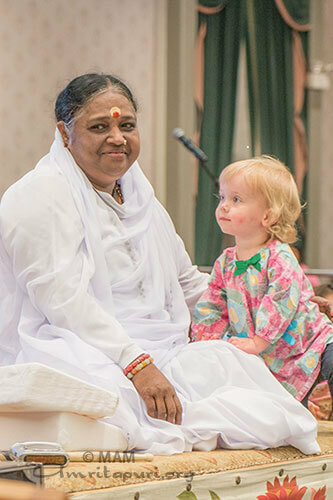 Each year Amma Canada has been awarding financial support to deserving youth. 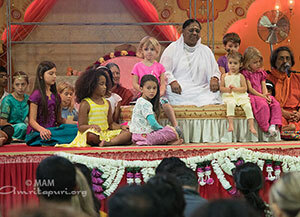 The financial aid helps youth to take up higher studies at a university. 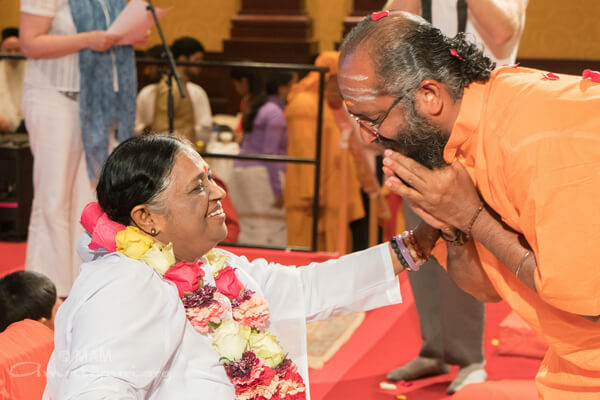 Amma awarded this year’s Financial support for Higher education, to Mr. Dipesh. 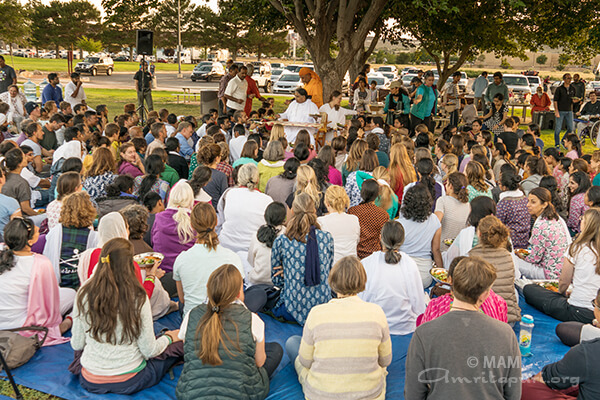 Also, Amma conducted Spiritual retreat in which thousands participated in prayer for the world peace, meditation. 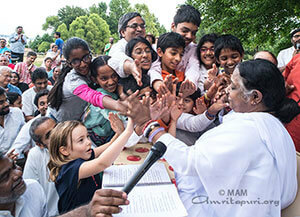 Amma personally distributed prasad to all of them. 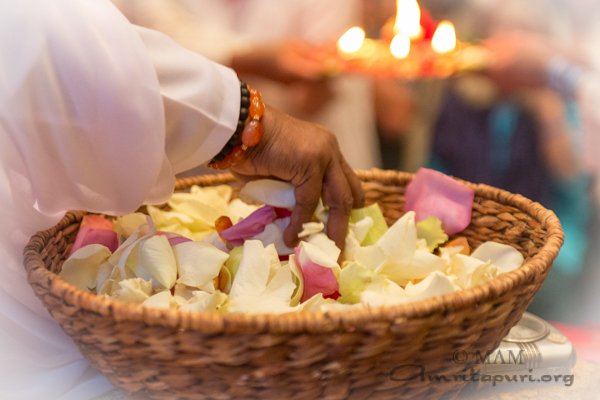 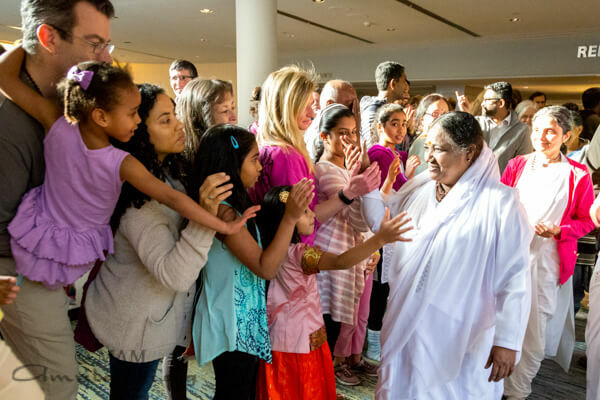 Amma held two days of programs at the Marriott Gateway in Chrystal City, Arlington, VA.
During the programs, local devotees sang bhajans, and put on a wonderful dance depicting stories from Amma’s life. 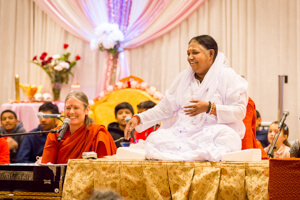 Amma held two days of programs of Satsang, Bhajan and Darshan at the Best Western Royal Plaza and Hotel in Marlboro, MA. 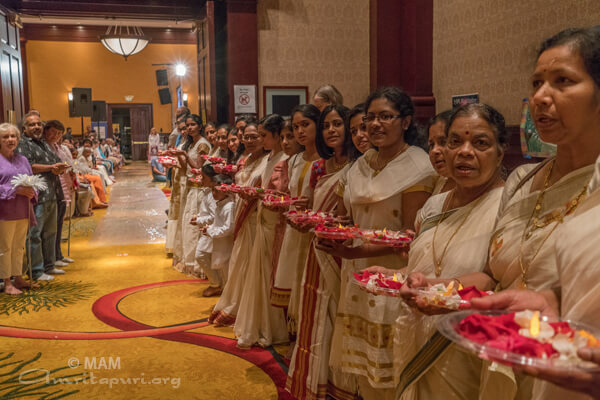 During the program, local devotees sang bhajans and danced. 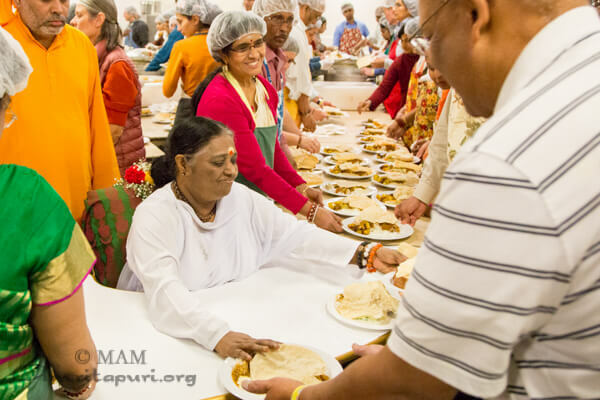 A freshly painted hall welcomed Amma to her Chicago Ashram as she returned for the 5th consecutive year. 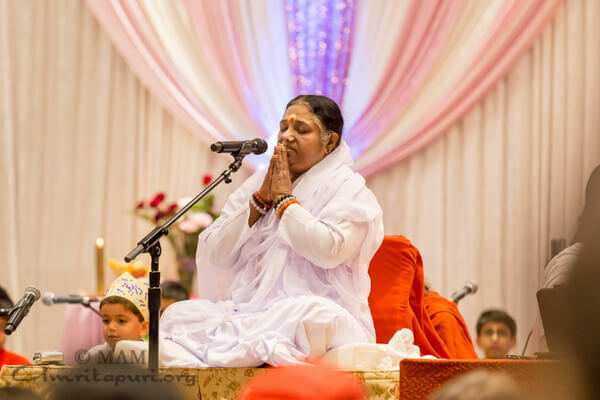 She led all in Meditation, Bhajans gave talks and Darshan on these two days. 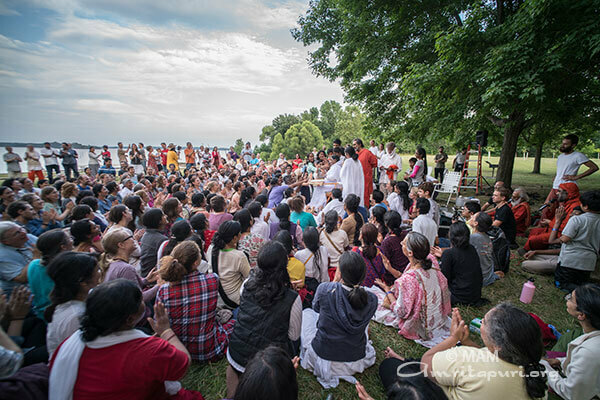 During the first day of programs, area Satsangs put on a number of cultural programs. 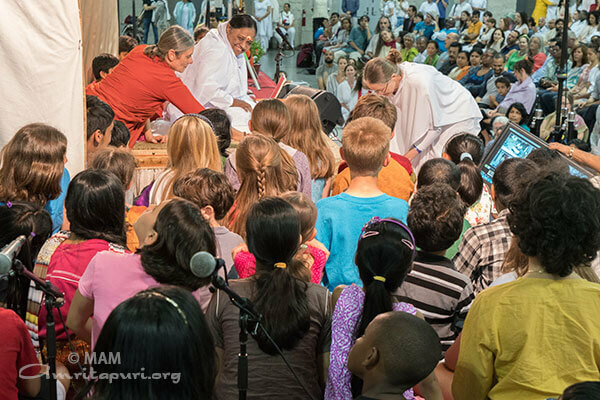 Bala Kendra students chanted Gita, put on a performance medley depicting the stories of Haunman, Ganesha, and Krishna, and sang bhajans. 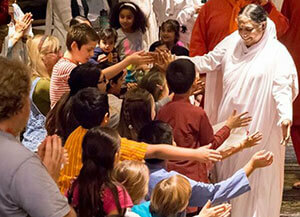 They also put on a performance embracing Amma’s message that kids these days are spending too much time on electronics. 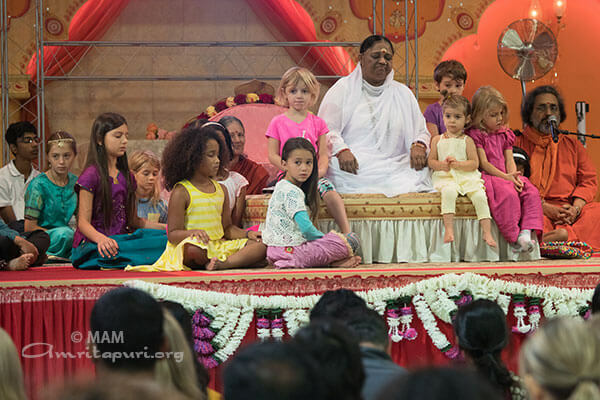 In the play, kids learn that playing outside, helping nature by planting trees, and doing seva together is more fun and beneficial. 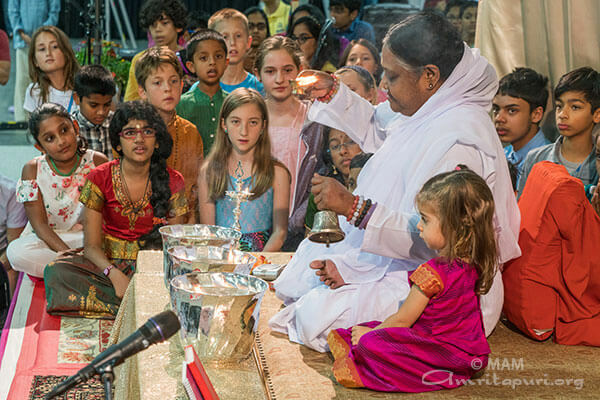 Local Chicago AYUDH youth sang bhajans and put on a dance about Krishna and Radha. 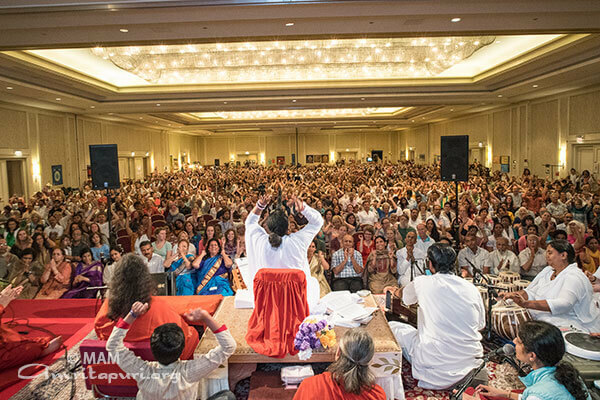 Members of the Chicago area satsang peformed a Kaikottikali dance, followed by a fusion of Marathi, Gugurati, and Bhangra style dancing. 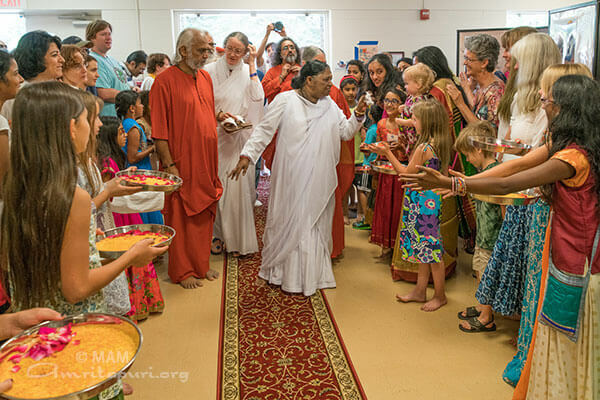 At the end of the day program, Amma sang two new English bhajans and one new Punjabi bhajan, then danced briefly before leaving the stage. 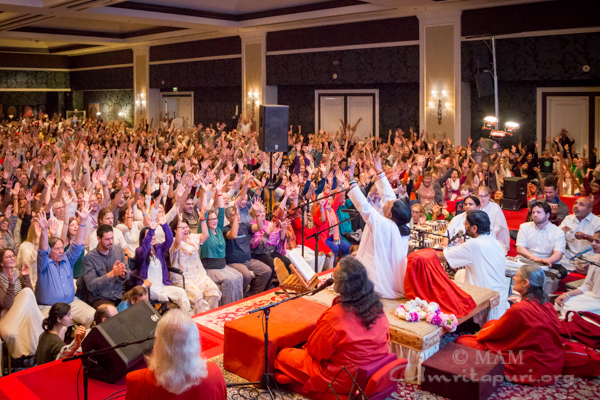 This year’s programs in Texas were held at the Worthington Renaissance Hotel in Ft. Worth, TX, about 45 minutes west of Dallas. 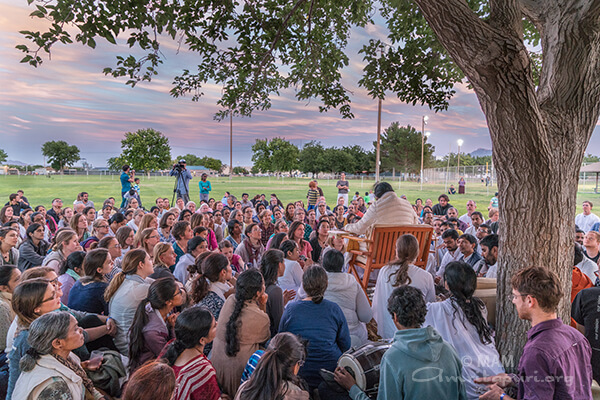 Attending the first evening program were two representatives from the Chinmaya Mission – Swami Sarveshananda, Resident Acharya of the Chinmayi Mission in Dallas, TX; and Abhishek Chaitanya Giri from the Chinmayi Mission in Rishikesh, India. 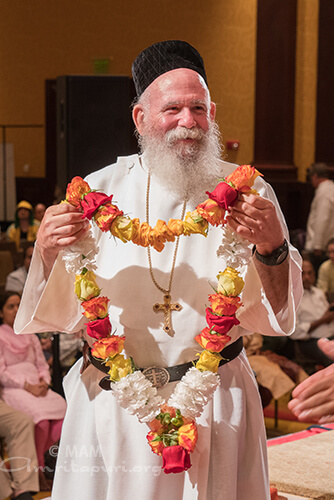 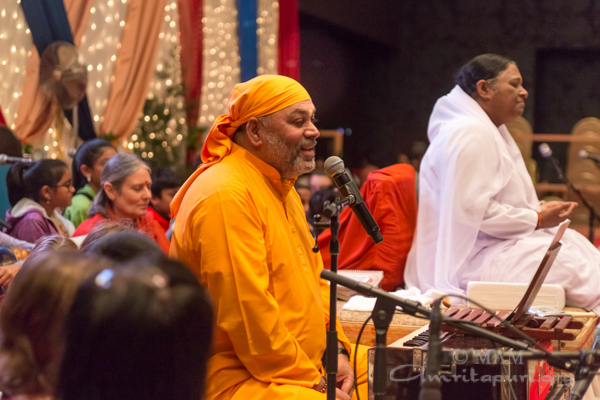 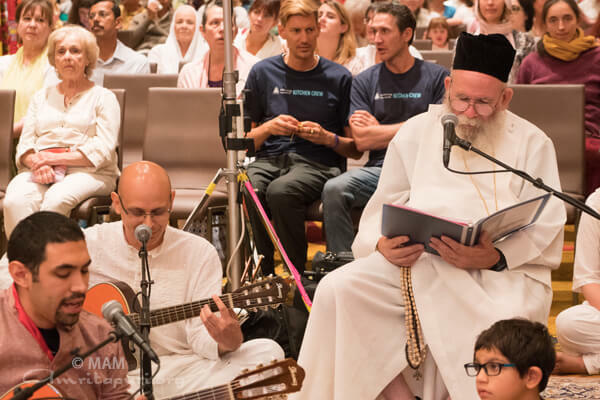 Devotees from regional satsangs in Dallas, Houston, Austin, and surrounding areas put on a variety of cultural performances during the programs. 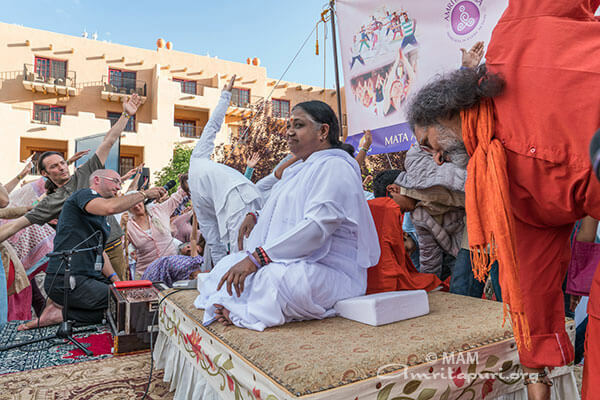 These included a Bharatnatyam dance depicting the form Ardhanarishwara, a veena performance, and Bhangra dancing celebrating Lord Ganesha. 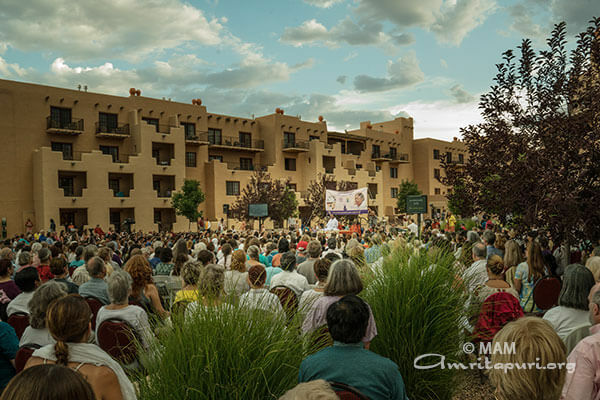 Amma held two days of public programs followed by a three-day retreat and Devi Bhava at the Buffalo Thunder Resort just outside of Santa Fe, New Mexico. 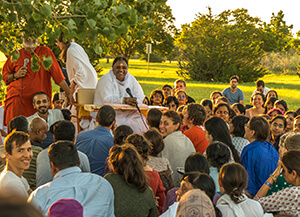 During the retreat, there were meditation classes, talks with the Swamis, IAM classes, and a question and answer session with Amma. 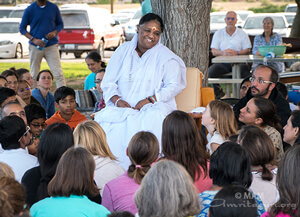 At the Q&A session, Amma led everyone in yoga asanas in honor of the 2nd annual International Day of Yoga. 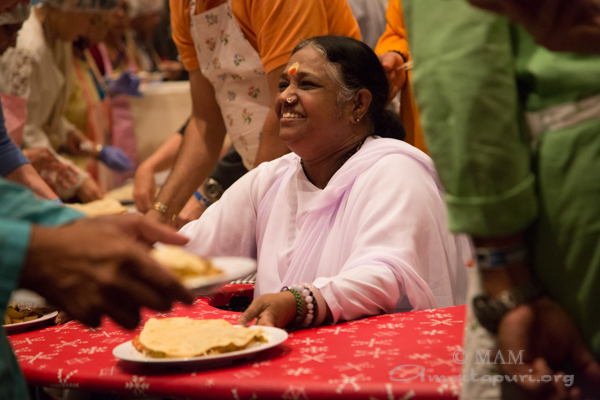 Following the Q&A session, Amma sang ‘Mukunda Murari and served everyone dinner. 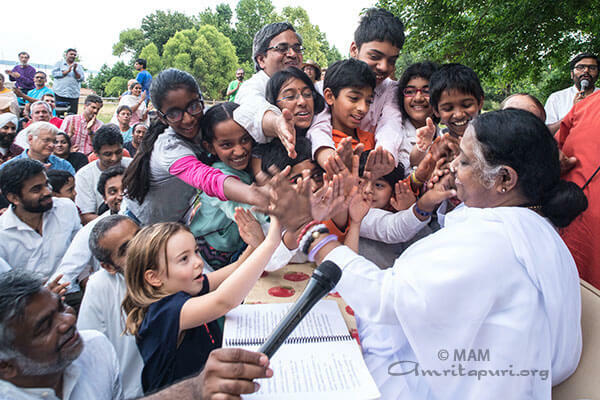 Througout the programs and retreat, local satsangs sang bhajans and a group of young balakendra students sang ‘We Are All Beads’ accompanied by acting and sign language to convey Amma’s message of unity and compassion. 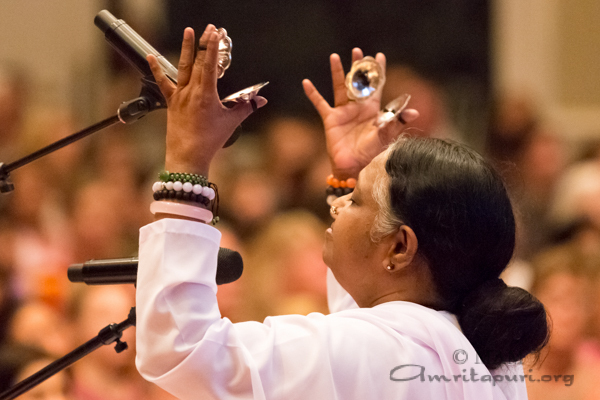 There was also a soulful violin performance by one of Amma’s devotees and inspiring Flamenco dancing.